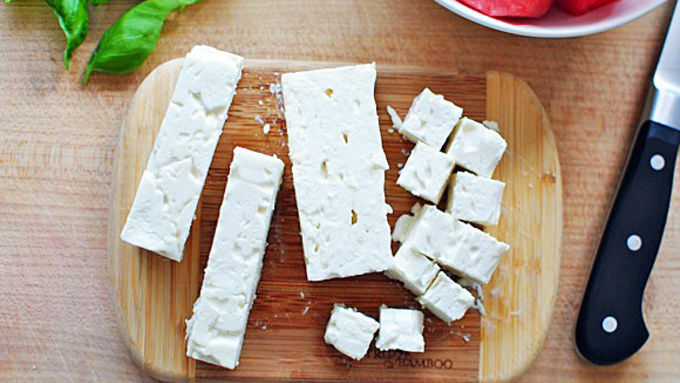 Cut the watermelon chunks down to match the size of your feta cubes. As big or small as you prefer. 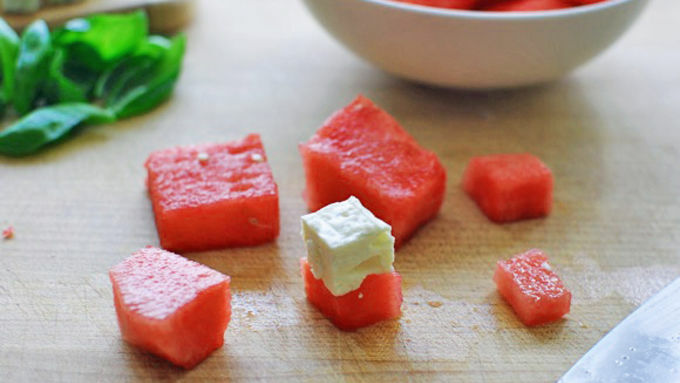 Stack a feta cube on top of each watermelon cube. 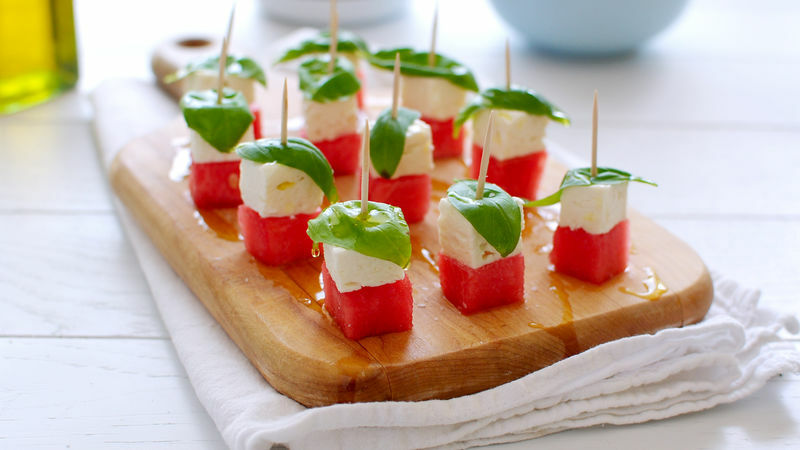 Top with a fresh basil leaf, and secure with a toothpick. Drizzle with oil and sprinkle with salt. Serve immediately. Easiest. Summer. Treat. EVER. THIS is going to change your days. Your summer. Your life. I'm such a wimp in the summer. I used to LOVE it as a kid, always outside, running around in some form of water, getting into all kinds of shenanigans with my little sister. These days? HA HA HA. I'm scared to death of flying dragon insects with fangs, sun burns and the words "ozone alert." I will seriously call my husband, "DON'T GAS UNTIL AFTER 9PM OR THE OZONE ALERT WILL GEEET YOUUUUU." He thinks it's so cute. This little treat though? 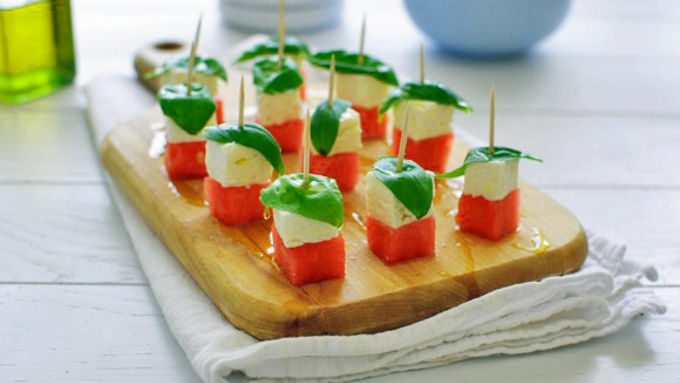 These Watermelon Feta Caprese Bites save my life. It keeps me cool and calm. Okay, just cool. Kool? Just kidding. Make it and you.will.see.my.pretty. Feel that? Yeah that was you getting koooooled off, brutha. I mean cooled off. Ah heck, let's go with kool.